We are engaged in manufacturing and supplying high quality Vibrating Earth Compactor, Earth Compactor Machine, Earth Compactor. Our Earth Compactor is fabricated from superior quality raw materials under the guidance of expert engineers. High performance, low running costs and easy operation are the chief reasons behind the increasing popularity of our Vibrating Earth Compactors. Our Vibrating Soil Compactor is perfectly designed for compacting sub-bases and site preparation on flat or irregular terrains. Powerful engine, excellent vibratory performance, comfortable operatorâ��s station and minimal service requirement are the highlights of our Earth Compactors. 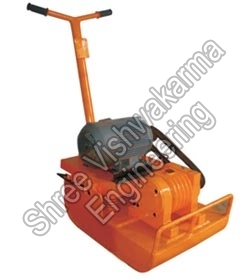 We have emerged as one of the most reliable Compactor Manufacturers In India. The Earth Compactor Machine is available at the most attractive price in the market.